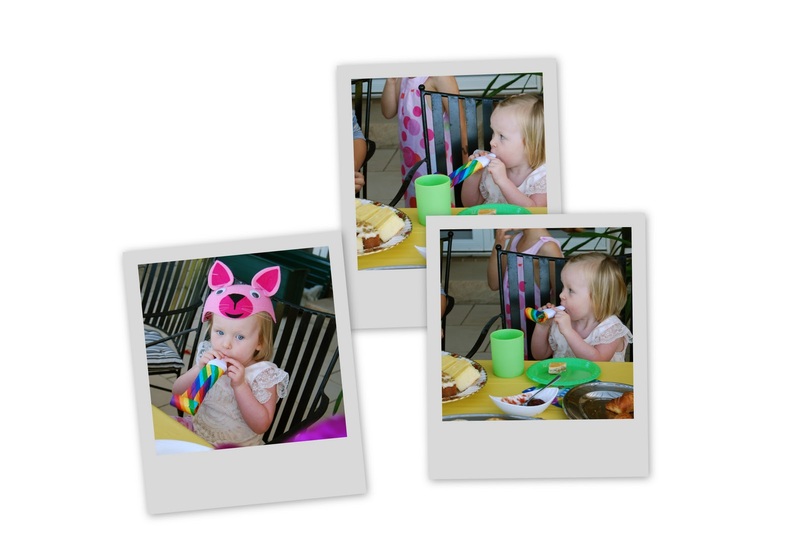 Bubby Makes Three: Our Weekend: A Madhatters Tea Party! Our Weekend: A Madhatters Tea Party! Yesterday they played host to a 'Madhatters Tea Party' for their nine grandchildren! Fern was obsessed with her blower... except she couldn't quite get hers to make a 'toot', so she just blew it out and made her own little toot noise! ... best of all, it was such a lovely sunny Autumn afternoon and despite the fact that all the kids were sugar-laden and missing their afternoon sleeps I didn't hear a single tear all party! A success! How did your weekend pull up, did you do anything spesh? OMGoodness! Do your inlaws want to adopt another grandchild because Will and I will be THERE at the next party! Gosh that's so cool and I love their costumes. Fern looks so cute in her hat and love that pic of you and Elliott! Oh gosh!! How fantastic. Next madhatter tea party count me in!! It was my birthday yesterday so we went out for brunch (after a little sleep in). BLISS!! Wow Nicole, you certainly did luck out in the inlaws department!! How fun! I want to be a fantastic grandparent like that someday!! Guess I should start having some kids so that I can slowly start working towards that "grandmother" goal! Wow! What a fantastic weekend!! I'm jealous. I just found you through AMB, and look forward to reading more of your family adventures.